Lent lies at the very heart of our Catholic faith. While Lent was originally intended as a time of preparation for those being baptized at Easter, it gradually became a time when all of us focus on getting ready to renew our own baptismal promises. It is a time when we reflect on the dying and rising of Christ that has made our salvation possible. The three Catholic observances we follow during Lent — prayer, fasting and giving alms — engage us in body, mind and spirit. Focusing on these traditional observances will bring your family closer to Christ … and to one another. Move your family’s crucifix so it is near your front door (or whichever door you use most). It will serve as a daily visual reminder of Jesus’ sacrifice on the cross. Attend the Stations of the Cross in your parish. 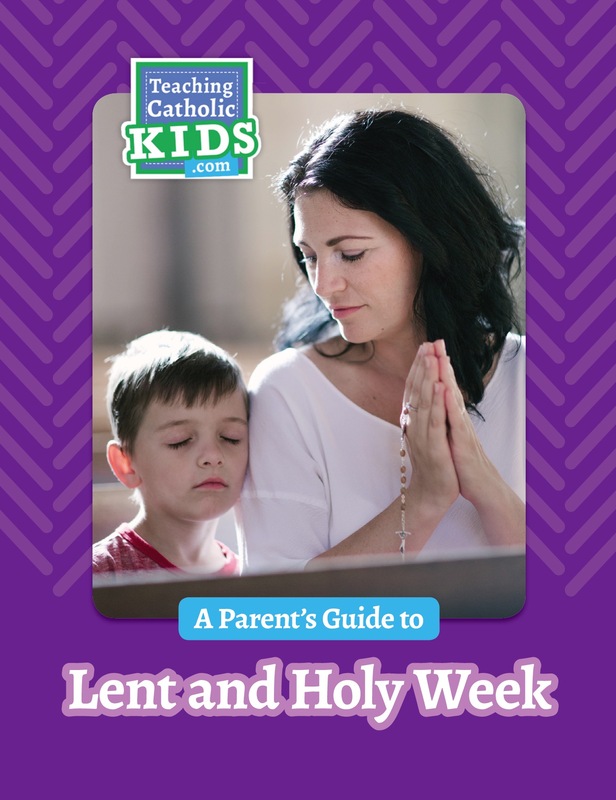 Before you go, read a version of the Stations of the Cross that is written for children, so even the youngest members of your family can follow along. Find more about praying the Stations at www.osv.com. This Lenten season, try out some different forms of prayer as a family. Start a family conversation by asking, “How much time do you spend with your best friend?” Have each family member, adults included, talk about the question. Then ask, “How much time do you spend with God?” Talk as a family about how to make room in your lives to talk with God. Kids might enjoy praying to God in their own way. Young children talk to God before bedtime. 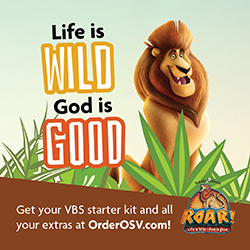 Older kids may want to text or email God. They obviously don’t have to send it, but the act of writing down (or typing in this case) a prayerful thought is prayer. If using email, save the prayers as drafts during Lent. When Holy Week begins, read through the emails and be reminded of the time spent with God. While prayer and almsgiving are part of our regular Catholic observances, many people tend to limit fasting to the season of Lent. In times gone by, people emptied the larder on Fat Tuesday, which led to quite a bland diet for the next six weeks, until Easter. These days, we keep the fast limited to Ash Wednesday and Good Friday, and abstain from meat on each Friday of Lent. Why fast? Fasting is a spiritual practice and discipline. Its aim is to help us focus on God. By limiting our intake of food, we exercise self-control, discipline our body. Experiencing physical hunger also reminds us of our utter dependence on God and puts us in solidarity with those for whom hunger is not a choice, but rather a fact of life. Fasting doesn’t have to be only about food. It can spill over to habits, practices and things that distract us from our relationship with God and others such as too much time spent at work or too much time on social media. Calculate what it would cost to take your family out to dinner at your favorite restaurant on a Friday evening. Then make a simple, inexpensive dinner at home (see below). Use the difference to buy goods for a local food bank. Pile corn or whole wheat tortilla chips on a plate and cover with black beans and shredded cheese. Microwave for 30 seconds to one minute. Sprinkle with shredded lettuce, diced onions and chopped tomatoes and serve with a side of sour cream and salsa. “But when you give alms, do not let your left hand know what your right hand is doing, so that your alms may be secret. And your Father who sees in secret will repay you” (Mt 6:3-4). The Gospel of Matthew reminds us that we are not supposed to make a big deal about our giving. Seeking glory for these things defeats the purpose. Kids love secrets! Enlist your children’s enthusiasm for secrets by asking them to help you plan some silent sharing for those in need. • Mailing a gift card for food or gas to a relative who is struggling with bills. • Putting allowances in the basket at church sans envelope. • Delivering bags of dog food to an animal shelter. • Giving a roll of quarters to a stranger at the laundromat.